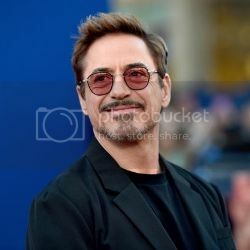 [#Entertainment] Robert Downey Jr. Hopes To Exit MCU Like Jordan Not Kobe: "Want To Hang Up My Jersey Before It's Embarrassing" » WHUZZUP! With all signs pointing toward Spider-Man: Homecoming being a colossal hit this weekend, some eyes have started looking ahead to the unpredictable future of the Marvel Cinematic Universe, and while it certainly looks bright for new characters like Tom Holland’s Peter Parker, it looks considerably more cloudy for several Marvel mainstays, none more so than Robert Downey Jr.’s Tony Stark, a character we’ve known and loved since the MCU’s inception in 2008. While RDJ is currently filming Avengers: Infinity War and is expected to begin Avengers 4 later this summer, rumors have already started to swirl that the epic two-part Phase 3 finale may indeed be the end of the line for his version of Iron Man. Also, considering that there are no definitive plans in place for an Iron Man 4, which combined with the fact that he hasn’t toplined a film since 2014’s The Judge, it would make sense if the 2x Academy Award-nominee wanted to pursue other projects as he transitions into the next stage of his illustrious career. [#Webdesign #Coding] Git Tutorial Part 1: What is Version Control?